Jesse was a pleasure to deal with. He responded to messages very quickly and was on top of everything along they way once I made an offer. Would work with again in the future. Highly recommend! My fiance and I were looking to move in the summer and we were initially concerned about listing our house as the Market for sellers was moving pretty slowly. We chose Jesse as our realtor and when we finally decided to take the leap the list our place, we ended up getting and accepting a great offer in less than a week! We were really impressed on how Jesse and his team handled our listing and since we were so surprised that we sold so soon we had to really had to ramp up the search for a new home. Jesse was super accommodating and was readily available to show us the long list of houses we wanted to view and would provide very useful feedback on each one we saw. Needless to say our listing/buying of a new home was made ALOT less stressful and more enjoyable with the help of Jesse and his crew. After experiencing a grueling 7 months on the market with an empty condo I was lucky to find Jesse. I did my diligence in selecting an agent to take over my listing and ultimately chose Jesse because of his quick responses and willingness to go to the extra mile to help me save costs wherever possible. Jesse was able to re-vamp my listing and drive up traffic and interest tin the unit through awesome photography, professional marketing materials, and an open house each week. The unit sold within a matter of weeks of being in Jesse's skilled hands. I would highly recommend he and his team to handle any sell side arrangements. 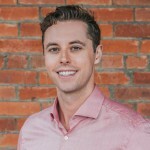 Jesse was exactly what I needed, he has experience in income properties and has a great knowledge base on industries within Alberta. The key decision to using him was his attention to detail and quick responses. He was willing to help in areas that other agents wouldn't. He worked WITH me and FOR me as my agent.